Posted On September 04, 2017 by Team iCynosure. Homeopathy is not just a way of treatment, it a way of healthy living. Over the time, it has played a breakthrough role in the medicinal world by treating various diseases with powerful remedies leaving LESS side effects on the patients. Its natural and holistic approach towards health problems works at the root level ensuring the total eradication of the illness. Today, this ancient medical science has gained immense popularity owing to its amazing benefits that treat common health problems with the skin, joints, muscles and other areas of the body. Homeopathy follows the principle of natural healing in the human body. Its popularity has gone many folds that now you can find almost any homeopathic medicine available online that offer specialised treatment for different illness or ailments. If you wish to discover why homeopathy had gained such fame, read the top 5 benefits of homeopathic medicine. Homeopathic medicines use a natural approach to treat illness. If you take a regular and continuous dosage of homeopathic medicine, then it will boost your immunity. This will help you in preventing severe diseases and chronic illness like cancer, heart diseases and dementia as well. Homeopathic medicines use the preventive method and can ward off future illnesses too. You can easily add some of the homeopathic ingredients to your diet and for a hale and hearty life. One of the main benefits of the homeopathic medicine is the fact that it has a reduced risk of harmful side effects on the body. Prepared by using plant-extracts and homeopathic therapies, homeopathic medicines result in fewer complications and adverse outcomes. As they have no toxicity, homeopathic medicines are safe and ideal for all life stages including pregnant and lactating women. However, it is necessary that you should consult a physician before taking any homeopathic medication along with other medicines. Homeopathic medicines are not very expensive and hence prove to be an economical treatment. Hence, it not only treats the illness effectively but also reduces the financial burden of the person seeking a cost-effective treatment. Interestingly, some common homeopathic medicines like turmeric and cinnamon are easily found in any home. Another significant benefit of homeopathic medicines is that you can use them for treating a number of ailments related to skin, heart, muscles and joints. For instance, you can use Tea tree oil for acne and inflammation, Ginger for arthritis, Garlic for high blood pressure and Chamomile for stress relief. There are over 6000 homeopathic medicines that treat a wide number of health issues without causing harmful side effects. If you are looking forward to switching to homeopathy, then you can easily buy homeopathic medicine on online sites such as 1mg that offer homeopathic products of famous brands at affordable prices. Homeopathic medicines are also widely known for reducing stress and anxiety. Many people use Chamomile, lavender and green tea to get relief from stress. 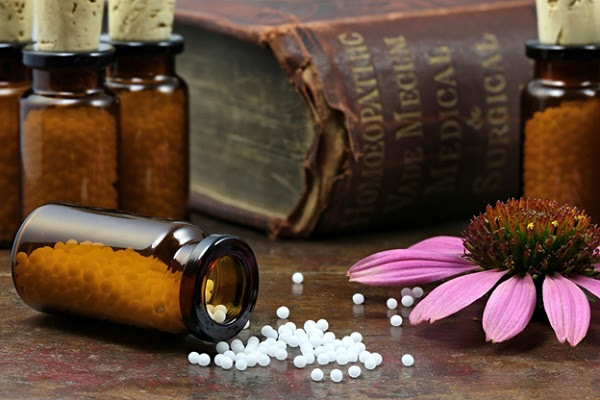 Apart from the medicines, homeopathy also offers other techniques such as acupuncture and a hot bath with essential oils to eliminate stress and gives comfort at home. Apart from the above-listed benefits, homeopathic medicines have other essential advantages as well. They are non-invasive, more efficient and can be stored for longer period. Their easy accessibility is also one of the reasons why they are used extensively. Homeopathy is not just a way of treatment; it is a way of healthy living. Its medicines, remedies, techniques all are dedicated to ensuring a proper well-being of the human body helping in a salubrious and happy life ahead.